In this collaborative memoir, a parent and a transgender son recount wrestling with their differences as Donald Collins undertook medical-treatment options to better align his body with his gender identity. As a parent, Mary Collins didn’t agree with her trans son’s decision to physically alter his body, although she supported his right to realize himself as a person. Raw and uncensored, each explains her or his emotional mindset at the time: Mary felt she had lost a daughter; Donald activated his “authentic self.” Both battled to assert their rights. 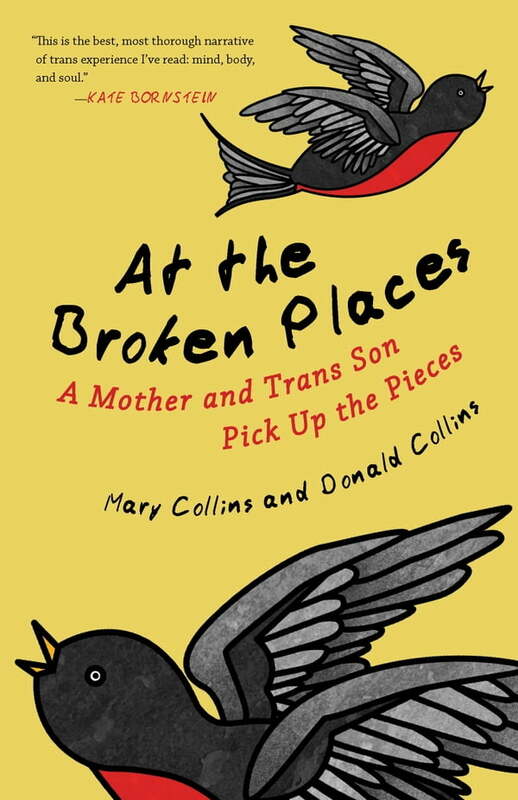 A powerful memoir and resource, At the Broken Places offers a road map for families in transition.